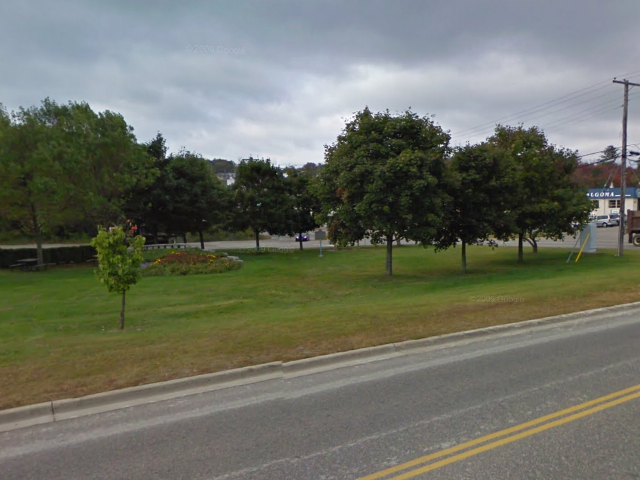 Evidence of radioactive ore prompted Aimé Breton and Karl Gunterman to stake claims south of here near Lauzon Lake in Long Township in 1948. Geologist Franc R. Joubin became interested and persuaded mining financier Joseph H. Hirshhorn to fund drilling operations. In 1953 they located the ore body that became the Pronto Uranium Mine. The discovery of further uranium deposits near Quirke and Elliot lakes led to a mining boom. 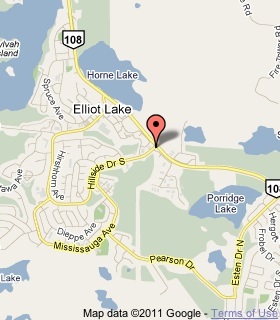 The town of Elliot Lake flourished until the U.S. stopped buying Canadian uranium in 1959. By the late 1960s, non-military uses for uranium were being developed and mining activity revived. 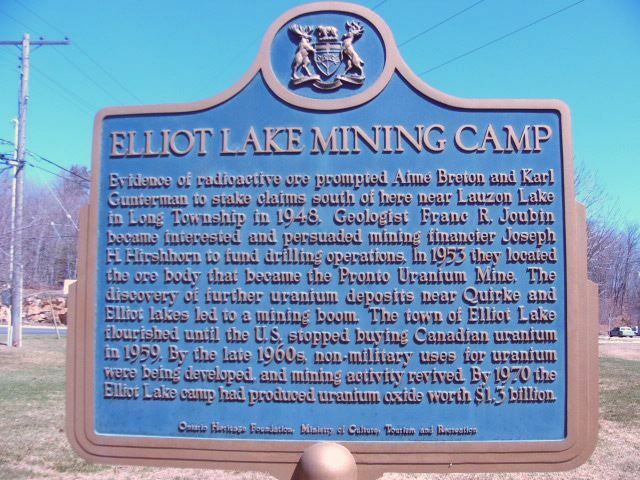 By 1970 the Elliot Lake camp had produced uranium oxide worth $1.3 billion.